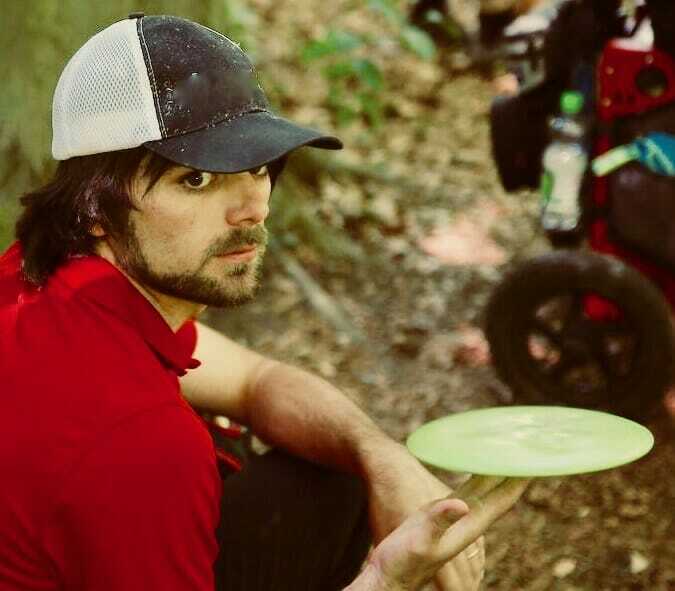 On Saturday, the evening before the final round of the Skellefteå Open began, Ultiworld Disc Golf asked Gregg Barsby about his plans for the next day. Specifically, we were interested to know if, sitting in third and seven strokes behind leader Ricky Wysocki, he planned to make an aggressive bid for the lead or was thinking more about simply preserving a spot on the podium. In the end, Barsby’s prediction for the winner of the third PDGA EuroProTour (EPT) event proved true. Wysocki won the Open division by three strokes with a 25-under par 164. The win was wire-to-wire and included a 1071-rated, 12-under par 51 opening round (a round stunningly matched by teenager Mikael Räsänen, winner of 2018’s first EPT event). Devan Owens’ 22-under par 167 took second. The 1011-rated Swede Emil Dahlgren played the hot final round—a 1046-rated 9-under par 54— and his final 20-under par 169 total moved Barsby to fourth. Barsby finished with a 17-under par 172, just above Philo Brathwaite’s fifth-place 16-under par 173. However, this “Ricky wins again” story could have been very different if Owens had had a tiny bit more luck on just one hole. But we’ll get to that. After round two, Owens was five strokes back of Wysocki. Though knowing it would take a nearly perfect round, Owens seemed more optimistic than Barsby about his chances of catching the reigning world champ in the final round. Despite this assessment, both Owens and Wysocki played just 3-under par through the front nine during the final round. However, at hole 11, Owens began to find his stride, and he birdied holes 11 through 15. And he even had what he described as ‘a dead center spit-out for ace on hole 14.’ Admittedly, this hot streak gained him just one stroke because in the same stretch Wysocki failed to birdie only hole 13. Hole 16, though, was to be the truly decisive one for the top two. The 187-meter (614-foot), par 4 hole with its basket perched precariously close to OB water was one that Owens had birdied the previous two rounds while Wysocki had gone birdie-par, but this time luck wasn’t on Owens’ side. “On 16 I had about 40-foot putt to gain at least two strokes on Rick [but] it lipped the cage and went straight OB,” Owens said. In the end, Owens took a bogey while Wysocki took a double on the hole. If Owens had birdied the hole as in previous rounds, Wysocki’s lead would have been down to one, and it’s impossible to tell how the change in momentum could have affected the play on the last two holes. Ultimately, the two Latitude 64 teammates, who are also traveling together in Europe leading up to this week’s PDGA Major, the Konopiště Open, were magnanimous about their respective results of victory and having to swallow a bitter “what-might-have-been” pill. Owens expressed similar sentiments. “I think I couldn’t be in a better place traveling and playing with the best player in the world,” he said. To be sure, Ultiworld Disc Golf confirmed that he was talking about Wysocki. Not to be forgotten are the efforts of third-place finisher Emil Dahlgren. At the Swedish tournament, he was the only Swede with a chance at the podium going into the final round. Though he said he drove generally well, his nerves got to his putting early. But he credited hitting a 15-meter (49-foot) jump putt on hole nine with pushing those worries aside. Ultimately, the Skellefteå Open results show two important things as we near the beginning of the Konopiště Open: Wysocki is still in the mood and form to win, but his armor isn’t entirely without vulnerabilities. Clearly, averaging 1044 through a weekend is far from something to sneer at, but his rounds continually fell in quality, having ratings of 1071, 1039, and 1022 from Friday to Sunday respectively. It will likely take more consistency—like he showed at last week’s Tyyni—to beat the even heftier competition he’ll face in the Czech Republic. 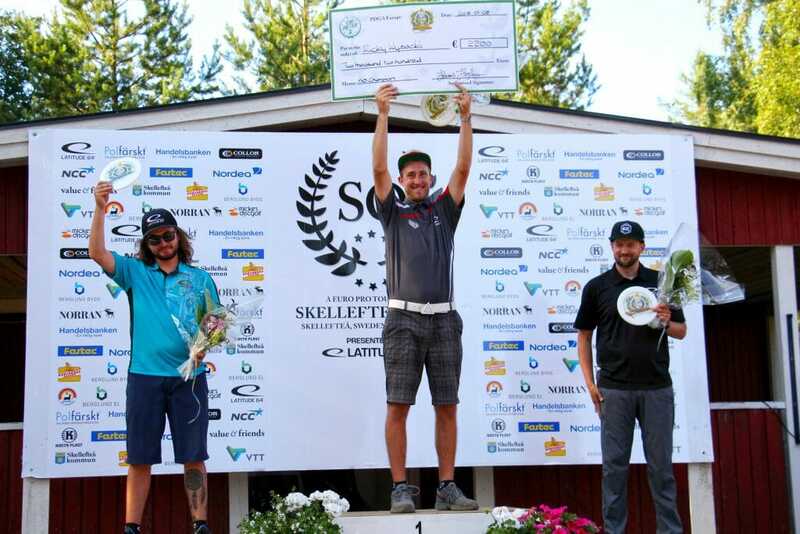 Comments on "Wysocki Holds Off Owens for Skellefteå Open Win"